Fitbit has recently unveiled two new fitness wristbands in the Philippine, the Fitbit Charge 2 and the Fitbit Flex 2. 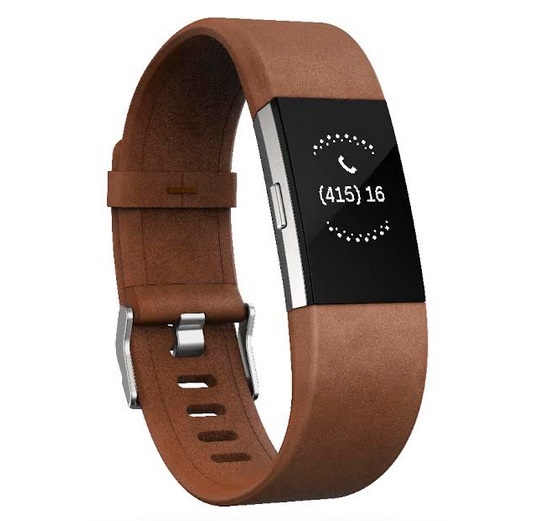 Housed in a sleek look, both can track valuable fitness and health stats to help you reach for exercise goals. The Fitbit Charge 2 is an upgrade from their most popular fitness wristband. Aside from its PurePulse heart rate tracking for better calorie burns and maximized workouts, you can now take a snapshot of your cardio fitness level based on your VO2 Max which is acquired via your heart rate and user profile. With this, you can get guidance on how frequently you should exercise to obtain a healthier weight. Equipped with SmartTrack advanced exercise recognition sensors, the Charge 2 also has guided deep-breathing sessions with heart rate visualizations and cues for a better breathing pace that can help reduce stress and lower blood pressure. Likewise, you can engage in multi-sport modes to track other workouts like weights and bike rides to get detailed reports in the Fitbit mobile app. Real time stats like distance and pace are also identified with its Connected GPS. Meanwhile, its Interval Workout Mode helps facilitate high-intensity exercise in alternate periods to give you a dose of circuit training. Housed in a sleek design, the Fitbit Charge 2 has a bigger tap-sensitive display and interchangeable bands to suit your style. 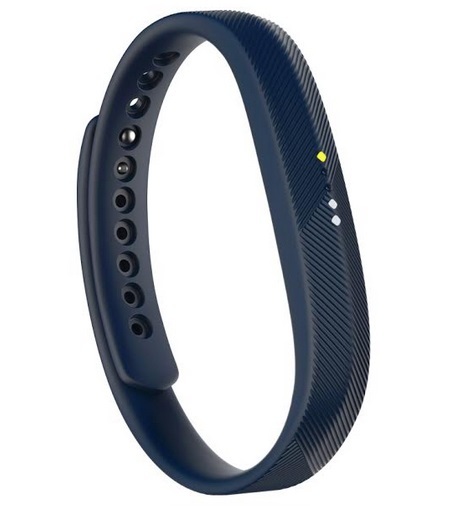 On the other hand, the Fitbit Flex 2 is an ultra-slim, swim-proof wristband with a removable tracker that you can jazz up with stylish bands or pendants. Based on an ultra-slim, minimalist design, the Flex 2 comes in a smaller package with its predecessor. However, it comes up big when it comes to exercise tracking, exercise reminders and weekly exercise goals to stay motivated in doing a routine. Water-resistant for up to 50 meters, the Flex 2 has a simple LED display that shows exercise goals as well as call or text notifications. The Fitbit Flex 2 is also available in two other designer collections: the urban-style Public School and the jewelry-inspired Tory Burch. 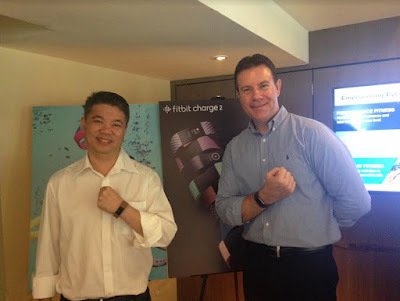 The Fitbit Charge 2 and the Fitbit Flex 2 can be purchased from various retailers in the Philippines for suggested retail prices of Php8,499 and Php5,499 respectively. For the Charge 2, you can also purchase the following accessories: four classic accessory bands for Php1,399; Luxe premium leather accessory bands (pink, brown, or indigo) for Php3,299 each; Special edition Fitbit Charge 2 gunmetal and rose gold for Php8,699. Meanwhile, you can buy the following compatible accessories for the Fitbit Flex 2: classic 3-pack fitness accessory band in Pink or Sport bundles for Php1,399 per bundle; silver stainless steel bangle for Php4,299; gold and rose gold bangle accessories for Php4,699 each; silver stainless steel pendant for Php3,799; and gold pendant for Php 4,699.